GUWAHATI, Assam, India, February 21, 2011 (ENS) – Three male WWF-India volunteers, kidnapped by militants on February 6, were released unharmed February 17. They were part of the team of six volunteers who were abducted at gunpoint near Ultapani in western Assam while they were conducting a tiger and elephant census in Manas National Park. Police said the three men were released in a forested area along the Indo-Bhutan border. Police believe that a splinter group of the National Democratic Front of Bodoland was responsible for the kidnapping. Three abducted women volunteers who were part of the same team – Tarali Goswami, Srabana Goswami and Pallabi Chakraborty – were released unharmed on February 8. WWF-India said the volunteers “showed extraordinary courage and patience” during their ordeal. 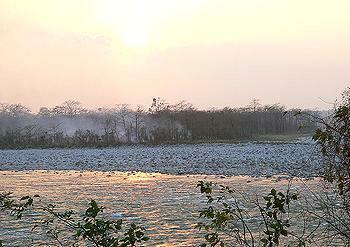 The conservation organization expressed its gratitude to the government of India, officials of the government of Assam, including those from the Bodoland Territorial Council, the police department, the forest department, the district administration as well as the armed and paramilitary forces who worked towards the release of the volunteers. “Throughout the crisis the people, the media and civil society of Assam showed unprecedented concern and stood together and appealed for the release of the volunteers. This confirms our faith in the people of the region,” WWF-India said in a statement. “In particular, we would like to acknowledge the appeals of the All Assam Students’ Union, All Bodo Students’ Union and the Lower Assam NGOs’ Forum, among others. We are overwhelmed by the widespread support from the civil society of Assam and across India during this difficult period. “We look forward to continuing our work for the conservation of nature and the ecological values of the region,” WWF-India said. The volunteers were carrying out field monitoring for the All India Tiger Estimation Project when about 20 armed and masked militants abducted them. 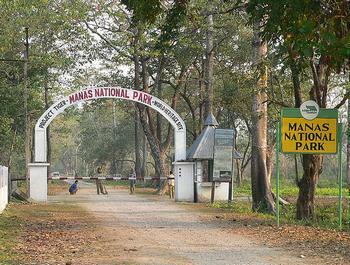 Manas National Park is a tiger reserve and is inhabited by 22 of the 41 endangered wildlife species listed under India’s Wildlife Act, including the Indian rhinoceros and Indian elephant. The UNESCO World Heritage Committee proclaimed Manas National Park to be a World Heritage Site in 1985, but it was placed on the list of World Heritage in Danger in 1992 after tribal militants gained control of the park.